When I watch our 14 year old, Jaden, perform on stage, I can see her transform into a completely different person. When we put her into music lessons 5 years ago, we were desperate. Jaden was diagnosed with General Anxiety Disorder at the age of 7. We went through quite a few trials with doctors and medicines, before deciding that looking for natural healing processes was necessary. She would walk around the house humming incessantly. All.the.time. Therefore, we decided she needed a good creative outlet to help with her anxiety, and we chose music lessons. 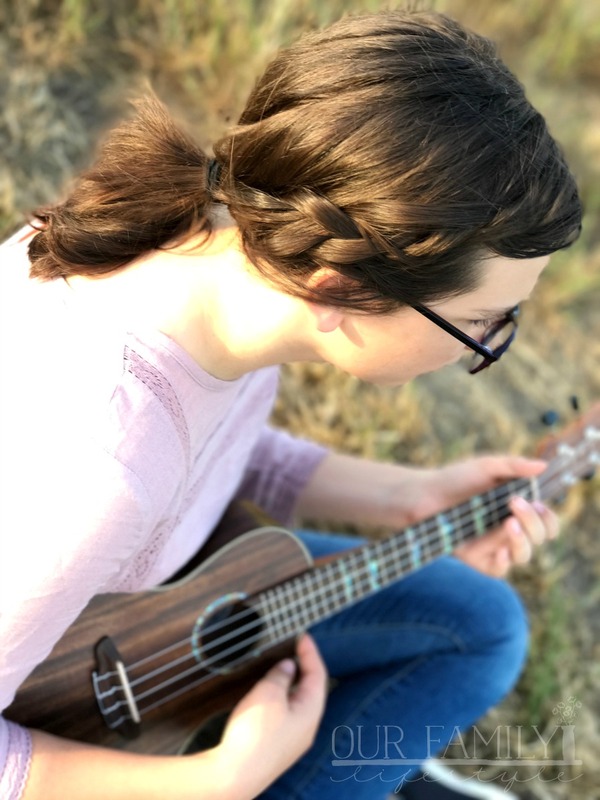 She began taking piano lessons to learn how to read music, but quickly decided that the guitar was her instrument of choice. We researched as much as we could, then went to our local Guitar Center to ask more questions and get an actual guitar in her hands. We walked away with a Fender Acoustic-Electric Guitar. She started taking lessons with it and was soon using it to write music for her own lyrics. Another year or so later and were back at Guitar Center. This time, we walked out with a Luna Acoustic-Electric Ukulele. This instrument became her favorite. It was more portable and easier for her to pull out and write lyrics with. 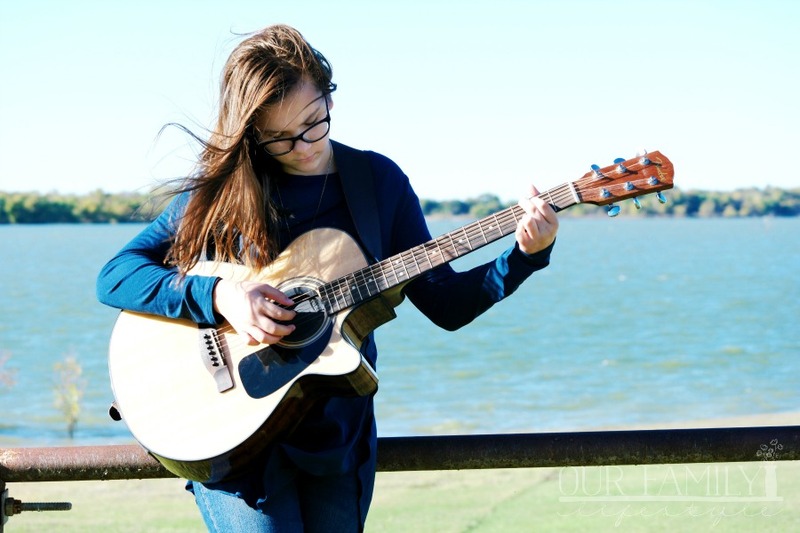 Jaden Faith currently has a handful of originals that she mixes into her set lists when she performs. She also performs regularly at our church a few times a week. That 7 year old girl we started with? She never would have been able to do this on her own. Music was the healing therapy. Her saving grace. Now, when she is on the stage performing, her face lights up. She smiles, laughs at herself, speaks with confidence, and sings with everything she has. When she faces a stressful situation, she sits in her room and plays music on one of her instruments. She write lyrics to help her work through her emotions. We no longer have the breakdowns we used to when her anxiety would overtake her. I’ve read numerous studies in relation to music and anxiety, and all point to impressive results of healing. For many, like myself, we listen to music when we need an emotional boost. But, when you pick up an instrument and play it, you are fully immersed. 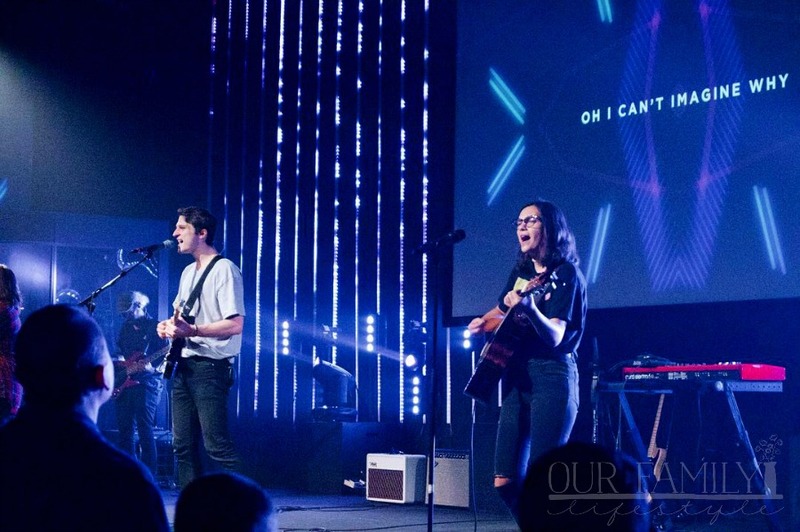 In fact, some studies have even shown that the sound frequencies that come with playing an instrument can reduce levels of the stress hormone, cortisol. All I know is what I can see in my daughter. Even those that have traveled this 7+ year journey with us tell me the same thing: Our girl is different. She’s come a long way. And she has! All because of the place she has given music in her life through singing lessons, piano lessons, guitar lessons and ukulele lessons! 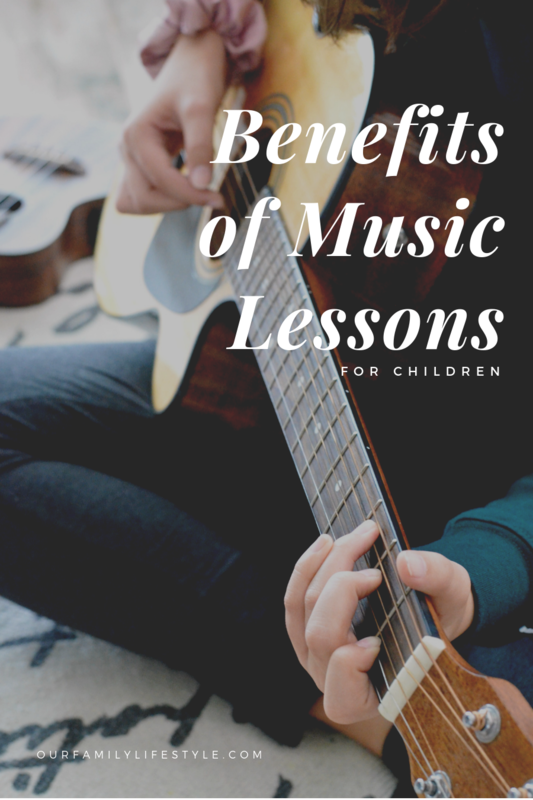 How could music lessons benefit your child? Music education is an important cornerstone to academic, social and cultural success, and Guitar Center is one of the largest independent music educators in the U.S.
With over 200 locations nationally, from lessons to retail to instrument repairs to supplemental learning materials, Guitar Center can cover any aspiring student’s needs. Visit your local Guitar Center and you’ll discover everything you need to help you child become the musician they want to be.